Free high resolution photo of a river with a duck swimming on it. 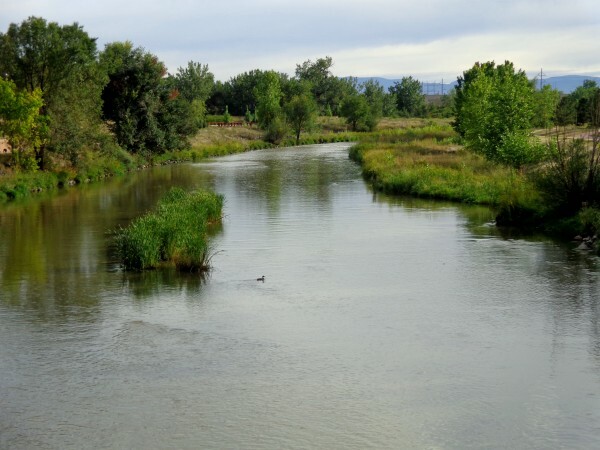 This picture is of the South Platte river just south of Denver where the Big Dry Creek bike trail takes off to the east. The photo is taken in late summer looking southward on the river. If you look closely you can see a little duck swimming just to the right of the island. Free picture for any use.